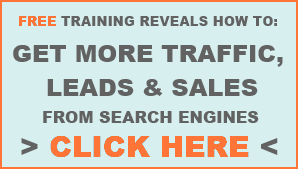 There are three different types of keyword search traffic data; broad, phrase and exact. This article explains the differences and advantages and disadvantages of each. Broad- Counts all the searches that include all the search terms, in any order and with any number of other words in between. Phrase- Counts searches that include the search terms in that order, with no other words in between but with any number of other words before or after. Exact- Counts only searches for that exact phrase, in that order and with no other words. The ratio of phrase/broad searches can give us an indication of whether the search term we are analysing is the most popular order and fit for the broader niche. A low PBR could mean that a different order of the search terms might be more appropriate or that most people search with other terms in between the terms being analysed. Never use broad match to analyse individual keyword search traffic, only as an indication of the total size of the niche and to calculate the Phrase to Broad Ratio, discussed above. Use exact match as a safe indication of search traffic with phrase match being what you can expect as your page/website gains more authority. In the longer term you can expect your traffic to approach the broach match figure but this traffic will likely have higher bounce rates and lower conversion rates as its much less likely to be relevant. For keyword competition analysis, use phrase/exact match (which are the same thing when doing competition analysis). Broad match will give an indication of how many webpages are targeting the general niche while phrase/exact match will tell you how many webpages are targeting your specific phrase. I should point out that there is still some disagreement in the internet marketing community over which match type is the most important to look at. The video below, from Market Samurai, gives a great explanation of each match type and also addresses keyword competition. The video also explains the alternative view that broad match data should be used when assessing potential keyword search traffic. Traffic analysis is an important part of keyword research. Some adjustments need to be made to the raw data to get figures more useful for local SEO. Google provides some very useful data through their generator tool that gives us the number of searches for different target keywords. For Australian keyword research we can only narrow the data down to the country level, not individual cities. Therefore some adjustments are required to give us an estimate of keyword traffic for a specific city. One option is to attribute the number of searches coming from a city as proportionate to the relative population size. Adelaide has a population of around 1.28 million which is 0.064 of the population of Australia (20 million). The Google keyword tool tells us there are 60,500 (broad) searches for 'Indian Restaurant' in Australia every month. If we make our adjustment, we can attribute 3872 of those to Adelaide (0.064 x 60,500). Keywords that already have a location included in them, such as 'Indian restaurant Adelaide' don't need an adjustment as the vast majority of searches are going to be from Adelaide already. Below is a table compiling search data for keywords that include 'Adelaide' as a location identifier and keywords that have been adjusted to Adelaide from entire country data. This data is for searches over a month. Due to the nature of broad match data there is some cross contamination of searches, e.g. the unadjusted data for 'indian restaurant' would include searches for 'indian restaurant adelaide,' therefore this table should only be used as a guide. There's both 'Adelaide' and adjusted keywords within the most searched terms so its important to consider both when assessing local keyword traffic. The next step in keyword research would be to compare the competition for the various keywords. My post from last week covers local keyword competition analysis. Just thought I'd point out a couple of milestones for the blog. I'm looking forward to many more milestones to come. When assessing various target keywords for local search engine optimisation, how do you determine the true keyword competition for the local market. The best search method to gauge the local competition for a keyword would depend on how wide your market is and how they tend to conduct a local search. My preferred method is to add a location keyword to ensure I'm getting local results. If your business is only relevant to the local market, such as a restaurant, then the true competition for that keyword would be only other restaurants in Adelaide. Lets look at some data for the keyword 'Indian Restaurant' from the perspective of an Adelaide business. The most relevant results seem to come from the Places search so we can probably assume the the searching trend will be towards that method of search, although adding 'Adelaide' to the search did result in a lot of relevant results also. We can only conclude that the true local keyword competition for 'Indian Restaurant' is somewhere between 682 and 170,000, which isn't very precise. Further, the ease of ranking for this keyword would depend very much on the strength of the top results. Another problem is that Google only gives keyword search volumes for Australia as a whole, not individual cities or states so its difficult to determine the value of the keywords as well, but that's a subject for another post. UPDATE 21/4: Loc made a good point in the comments below regarding the different between broad, phrase and exact match in keywords research. I have used 'Broad match' searches for this article which gives a wide scope of competing websites. In keyword competition analysis, 'phrase' and 'exact' match searches are pretty much the same. Broad match- a broad match to the keywords simply means that the web page contains all of the words searched for, in any order and with any number of other words in between. Phrase/Exact match- the webpages returned from a phrase/exact match search, which is done by using "quotation marks around the keywords," are those that contain all of the words in that exact order. You may have noticed that my blog design has changed significantly. Once I had the chance to use my old blog design for a few months I discovered it had a number of short comings so I decided to change to a new design to improve the usability and effectiveness of my blog. Changing a website's design is very easy if you are using a content management system (CMS) such as Blogger, which I use, or Wordpress, which is also very popular. All you need to do is go to a website that lists lots of different template designs and pick the one that's right for you. Two column design so the page was less cluttered. Sidebar on the right so the content is the first thing that users and search engines will see. Large text and clean font for easier reading of posts. Large posting (content) area to allow for longer lines meaning less scrolling and wider content such as images, videos and tables. Horizontal navigation that is highly customisable. Simple and clean design for faster page load times and easier reading. I went through quite a few different designs before I settled on this one. This design is called 'Twenty Ten' and has been adapted to Blogger (by The Man Who Walked Thru Wall) from the most recent default Wordpress template. I would have liked to have something a bit more unique, many Adelaide Bloggers use this design, but in the end this one has the least number of problems. 11/04/2011 -Optimised title tags to show the post name instead of the blog name. 11/04/2011 - Added copyright info and link to this post in the footer. Foursquare Etiquette: Is there a wrong or right way to check-in?- Shai Coggins discusses the ins and out of Foursquare Etiquette. It an interesting post for someone who doesn't use Foursquare (like me) and I think it would be thought provoking for those who do. Social media: getting on with it-Michelle Prak blogs about Frocomm’s New Media Summit, a digital conference for PR professionals that she attended in Sydney. Twitter Or LinkedIn – Which Is Better? [4Mins41Secs]-A video and post by Loc Tran addressing the pros and cons of Twitter and Linkedin for business use. Content calendars are king-Another great post from Michelle Prak about using content calenders for your social media strategy. Tom Williamson (Twillyon) Interview-This is my interview with Tom Williamson, I think there's some helpful tips in here for everyone. How Rad is Foursquare 3.0?-Tom 'Twillyon' Williamson, social media expert, blogs about his take on Foursquare 3.0. .HtAccess 301 Redirect Generator Tool-Another free web development tool from Tony McCreath. The Search Engine Battle – Google Versus The Rest- A thought provoking article about the looming battle between Google and the Facebook/Bing social search engine. Inbound link building by sponsorship is a link buying technique not yet discounted by Google. Link Buying is generally frowned upon by Google and other search engines as a 'black hat' SEO technique. Google considers inbound links as 'votes' for the quality of the website being linked to. However, if someone is able to buy these links then its really only an indication of the size of their bank account rather than the quality of their website and content. Google often penalises websites that buy or sell links that pass PageRank but sponsorship link building seems to have remained largely untouched. Many of the websites that have sponsors are for non profit events, clubs and community groups so it would be pretty bad PR for Google if they were to penalise these websites or their sponsors. If they were to take action they would probably just discount the links so they carry less or no weight. Local or Topical- The most beneficial links are those from webpages that are related to your subject, your location or both. If you are targeting the local market then links from other local websites are important. Websites related to your subject (topic or industry) are also very important. Keywords- Related to the point above, ideally the 'sponsors' page will have keywords relating to your topic or location so the search engines know that the page is relevant to you which makes the links more beneficial. Followed Links- You want links that are 'followed' meaning the website is telling the search engines that we trust, endorse and 'vote' for this website. Anchor Text- The link will be more beneficial if the link text is one of your keywords rather than just your company name or your logo. PageRank- This is a measure of how valuable the page is. You want links from pages that have a higher PageRank. Number of links on the page- The fewer outgoing links on the page, the better. Leverage social media by taking advantage of its unique features. Prepare and execute a plan. What unique features does social media have over traditional media and how can they help with marketing? Discussion- You can have a back and forth with your visitors, address their questions and concerns. Creates interesting content through several authors. Reviews, Ratings & Comments- Gives you valuable feedback, helps others make decisions about which product to buy and which company to get it from, can make your business seem more transparent and trustworthy. Sharing- Your users can easily share content of yours that they like with their friends which can help you get a greater audience. Connection- Through user accounts, 'liking,' 'fan-ing,' 'following,' etc. you can keep in touch with your visitors and give them multiple opportunities to convert. Targeting- By monitoring for mentions of your brand and using data that people freely provide about themselves it's much easier to target your message to exactly who you want to receive it. Personality- The nature of social media allows interactions on a much more personal level which can help people trust your brand and company and form a relationship with it much more easily. Your social media marketing plan needs to leverage the unique aspects of social media to provide a benefit to your company. Mashable has a great article listing many of the different types of social media marketing and some notable companies using each type. When starting your social media efforts or even deciding whether to get involved, use the MAIL approach to get started. The MAIL acronym stands for: Monitor, Analise, Interact, Lead. (I learnt about it from @LeeHopkins who attributed it to @davidjones). Monitor mentions of your brand, your competitors and keywords related to your products, services and industry. Analise those mentions to determine the best way to get involved in the discussion. Interact with those who are doing the mentioning. Lead by providing valuable content to your audience, continuing to interact and creating brand advocates out of your customers. For moving forward and formulating a Social Media Marketing strategy, here are some awesome tips I learnt during my recent interview with Tom Williamson. Target and interact with customers on an individual basis. Give them a personalised approach to try and turn them into advocates for your brand. If you have an offline marketing strategy that works, bring that strategy online by creating and enhancing its social aspects. Focus on creating interesting and valuable content that people will want to share and giving them the tools to share it. Engage people by encouraging them to interact with you, make suggestions and give you feedback. This will help with branding.